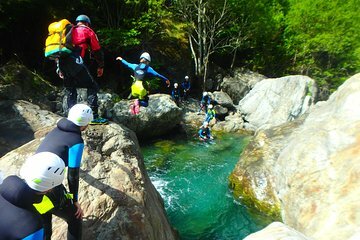 Live out your parkour fantasies and explore the Hautes-Pyrenees mountains at the same time on a 3-hour canyoning tour from Gedre. A small group size, provided safety gear, and an experienced guide ensure maximum safety and fun. After a briefing on the environment and how to use the canyoning equipment, you’re ready to start exploring. Slide, jump, and abseil as you make your way through the Canyon d’Haes. I was afraid during activity, but guide was very helpful to assist me.